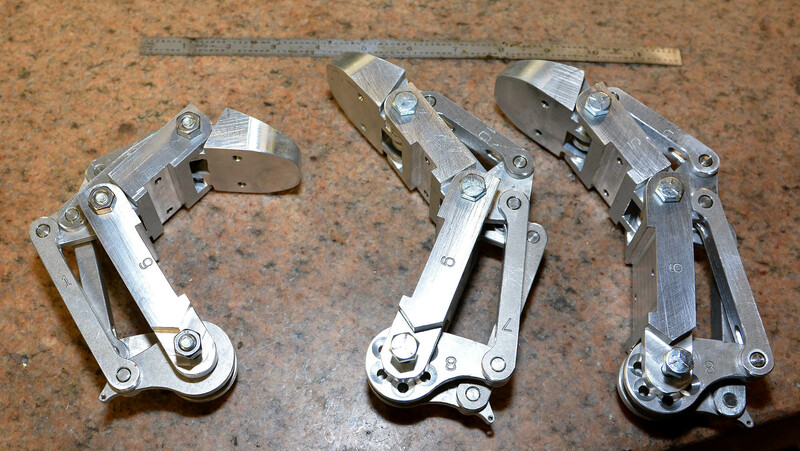 The three fingers of the underactuated gripper for the track robot are done and assembled (not pinned yet). Now to make the palm and motorize for grip and rotate. Gimp hand Doppelgänger! February 2015 - Test Run!